Please join us in welcoming the latest edition of MOJO '60s, the MOJO brand’s sister magazine that’s hopelessly devoted to the decade that had everything. The 132-page deluxe publication returns to UK newsstands from Tuesday (October 20). 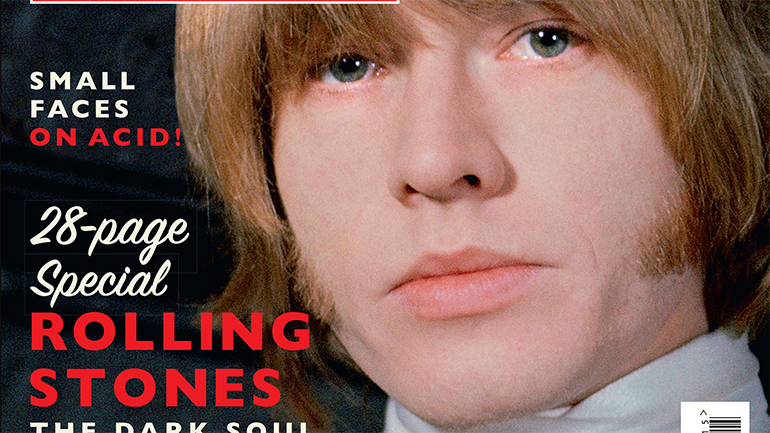 Volume 4 features Brian Jones on the cover, flagging an in-depth exploration of the dark life of the Rolling Stones' tragic founder. Other highlights include two high-quality, matt art prints featuring Pink Floyd and The Who, and our proprietary Pin-Ups! section which returns with glorious shots of James Brown, Captain Beefheart, The Standells, Vashti Bunyan, The Yardbirds and more. Plus! Enjoy the making of The Small Faces’ psych classic Ogden’s Nut Gone Flake, unseen Beatles pictures, features on Otis Redding, Deep Purple, Miles Davis, Fred Neil and Island Records and new interviews with David Crosby, The Who, PP Arnold, The Zombies and Johnny Marr – who picks his favourite records from the decade. Take the tour through MOJO '60s, Volume 4, below, then nip out and grab your copy from Tuesday… or order it online right now!